Money – something that we see and use just too often in our daily lives. Transactions, trading, buying, selling, eating, drinking and many others – money is undoubtedly the main character behind all these vital daily activities. Indeed, where would we be today without money? It is really an understatement to say that money is such a common element in our everyday lives, up to the extent that many of us tend to take it for granted. Of course, what I mean to say is not that we literally tend to take money for granted in our daily lives. How can money actually be taken for granted if it is such a vital tool for survival in this contemporary era of rapid globalization? Think again. Most of the time, when we whip out some money from our pockets or wallets for daily usage, we’ll just look at the large numbers inscribed on the face of the banknote or coin denoting its value. However, how many of us actually take some time to appreciate the more intricate details imprinted on this ever-so-important item in our daily lives known as money? How many of us actually take the effort to appreciate the cultural, historical and geographical values that we can obtain so readily from our banknotes and coins? Now, that’s what I mean by saying that many of us tend to ‘take money for granted’ in our lives. Alright then! Let us now delve into the matter of interest for today. 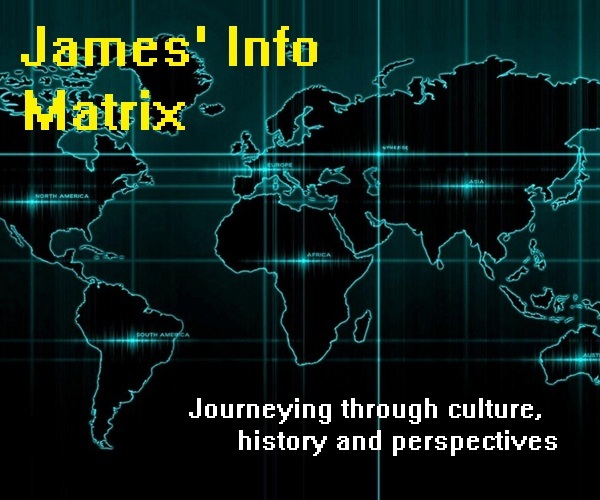 As most of you would know, Korea in imperial times consisted of both present-day North Korea and South Korea. Nevertheless, due to differences in political ideologies, the imperial nation of Korea split into two separate countries after World War II. Currently, the North practices strict communist ideologies in its governance, while the South is a liberal democratic nation. The official currency of South Korea is none other than the won (원), which is also denoted as ₩. Theoretically, 1 won is subdivided into 100 jeon (전), but this is not put into practice in everyday transactions. The jeon is only utilized in foreign exchange rates. 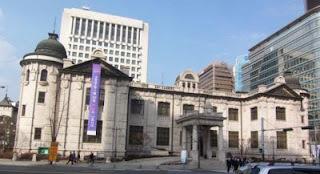 The sole authorized issuer of the Korean currency is the Bank of Korea (한국은행 / 韓國銀行, hanguk eunhaeng), of which its headquarters is situated in the Korean capital of Seoul. Unlike many other countries, South Korea (hereafter known as Korea) does not classify banknotes and coins of similar designs and dates of issue in a single series. Instead, each individual banknote or coin is designated as series number X, corresponding to the Xth design of the banknote or coin since its introduction. To clarify the matter, let me give you an example. The latest ₩1000 and ₩10,000 banknotes were both introduced in 2007 and, as such, they have similar designs as well. However, the Bank of Korea does not classify them under the same series of banknotes. Instead, this ₩1000 banknote is classified as Series III, since it is the third type of ₩1000 banknote to be introduced in Korea since ₩1000 banknotes were first distributed in 1975. The ₩10,000 banknote, on the other hand, is classified as Series VI, due to the fact that this banknote is the sixth type of ₩10,000 banknote to be introduced since banknotes of such a value first appeared in 1973. 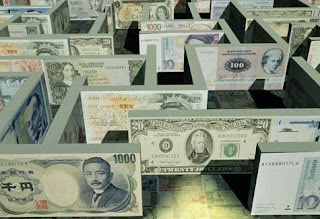 Nevertheless, it is possible to broadly classify the currently legal tender banknotes into two series of introduction from our own point of view. These two series are banknotes introduced from 1983 to 2002 and banknotes introduced from 2006 up to now. Banknotes introduced earlier than these have ceased to be legal tender in Korea. As such, I will only be covering on the mentioned two series of banknotes which are currently legal tender in the land of Korea. With each banknote, I will give you brief descriptions about the images that are portrayed on the front and back of the banknote. I will also mention the serial classification of the banknote according to the Bank of Korea’s system. I will be dividing this article into two parts, in which I will be covering on the banknotes introduced from 1983 to 2002 in the former part (that is this part). In the latter part, I will then discuss the latest series of banknotes which was introduced from 2006 until now. Firstly, I will be covering on the banknote series introduced from 1983 to 2002. Banknotes of this series include the ₩1000, ₩5000 and ₩10,000 notes. 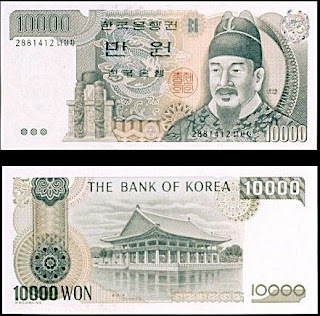 The banknote above is the 1000 won, or ₩1000 banknote. This banknote was first issued in 1983, and thus is classified by the Bank of Korea as Series II, since there was only one other type of ₩1000 banknote produced prior to 1983. On the obverse side, you will see the portrait of a great Korean Confucian scholar by the name of Yi Hwang (이황 / 李滉, i hwang), who is also known by his penname Toegye (퇴계 /退溪). Scholar Yi Hwang (1501 – 1570) is considered to be one of the two greatest Korean Confucian scholars of the Joseon Dynasty, which ruled both present-day North and South Korea from 1392 to 1910. Confucianism, which originated from China, was eventually adopted and absorbed into the imperial Korean society as a result of cultural exchange. As such, Confucianism, in the Korean context, played an extremely integral role in the imperial Korean government and society, especially during the Joseon Dynasty (조선왕조 / 朝鮮王朝, joseon wangjo). Born in Andong (안동 / 安東) in 1501, Scholar Yi Hwang was a child prodigy who learned Confucian teachings and Chinese characters from a very young age. Later in his life, he became a prominent official of the Joseon government, producing many remarkable works of Korean literature and establishing a private Confucian academy. The reverse side of the banknote depicts the image of the Dosan Seowon (도산서원 / 陶山書院) situated in Andong, South Korea. As I’ve mentioned in the paragraph above, Scholar Yi Hwang had established a private Confucian academy during his lifetime. This academy is, in fact, the Dosan Seowon, which was established in 1574. When Yi Hwang retired to his hometown in 1549, he started the construction of the Dosan Seowon for the purposes of offering education in Confucianism and the classics, as well as to honour the sages with memorial rituals. Nevertheless, he passed away in 1570, four years before he could see the full establishment of his academy. After its establishment, Yi Hwang’s disciples and local Confucian authorities played active roles in running the academy as a commemoration to its founder. This is the 5000 won, or ₩5000 banknote. Two different series of this banknote were first issued in 1983 and 2002 respectively, both having the same design and images. The difference was that the 2002 series had additional security features which the 1983 series did not have. Hence, under the Bank of Korea’s classification system, the 1983 series belongs to Series III, while the 2002 series belongs to Series IV. The obverse side portrays an image of another prominent Korean Confucian scholar known as Yi I (이이 / 李珥, i i). He is also often referred to by his penname Yulgok (율곡 / 栗谷). Earlier, I’ve mentioned that Scholar Yi Hwang is considered to be one of the two greatest Korean Confucian scholars of the Joseon Dynasty. If Scholar Yi Hwang is one of the two, who is the other, then? Well, the other greatest Korean Confucian scholar is none other than Scholar Yi I. Born in Bukpyeong (북평), Gangwon Province (강원도 / 江原道, gangwondo), which is currently under South Korean administration, Scholar Yi I (1536 – 1584) was also a prominent child prodigy who could capably read the Chinese script since the age of three. Upon reaching the age of seven, he was already able to write beautiful poems in classical Chinese and had also completed his education in the classics of Confucianism. While serving as an important official in the Joseon government, he produced many remarkable books of his time, which focused on Confucian philosophy and Taoist principles. The reverse side of the note displays an image of the Ojukheon Residence (오죽헌 / 烏竹軒, ojukheon) in the city of Gangneung (강릉 / 江陵), Gangwon Province, South Korea. Gangneung, which was known as Bukpyeong in imperial times, is the birthplace of Scholar Yi I. To be more specific, the Ojukheon Residence in Gangneung is the exact birthplace of the great Korean scholar. The residence has now been converted into a museum for public viewing and it remains as one of the oldest wooden buildings in the entire country. Inside the residence, one can see a memorial hall dedicated to Scholar Yi I, the exact room where Yi I was born, as well as the household shrine of the great scholar’s family. This is the 10,000 won, or ₩10,000 banknote. This banknote has been issued in three different series, which were released starting from 1983, 1994 and 2000 respectively. All the three series have similar designs and images printed on them. What differentiated them were merely the presence of extra security features in the 1994 series which the 1983 series did not have, and the modification of some of these security features in the 2000 series. As such, the Bank of Korea classifies the 1983, 1994 and 2000 series as Series III, Series IV and Series V respectively. This time, the obverse side shows the portrait of King Sejong the Great (세종대왕, sejong daewang). King Sejong (1397 – 1450) was the fourth king of the Joseon Dynasty who ruled Korea from 1418 to 1450. King Sejong was a prominent king who contributed vastly to the strengthening of the Korean military and to the development of Korean science and technology. However, King Sejong’s greatest contribution in history is the invention of the current Korean alphabet, known as the Hangul (한글). 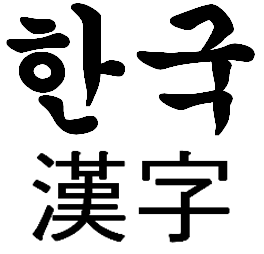 The Hangul script is, thus, the sole Korean script which is native and unique to the Korean language, not borrowed from any other culture. Before the invention of the Hangul script, the Hanja script was the sole script used in Korean, in which only the aristocratic classes mastered it. Hence, King Sejong launched a major project to devise the Hangul script so that more peasants and commoners could be literate in Korean. In the initial few centuries after the invention of Hangul, many imperial officials and aristocrats opposed it and saw it as an illegitimate script. Nonetheless, Hangul eventually became popular with the majority of Koreans who were commoners, consequently leading to reduced utilization of Hanja up to today, when Hangul is recognized as the sole official Korean script. The reverse side of the banknote displays an illustration of the Gyeonghoeru Pavilion (경회루 / 慶會樓, gyeonghoeru), which is part of the Gyeongbok Palace (경복궁 / 景福宮, gyeongbokgung) in northern Seoul. Initially constructed in 1394 under King Taejo (태조 / 太祖), the founder of the Joseon Dynasty, the Gyeongbok Palace served as the main palace and seat of government of the imperial Korean kings. It was reconstructed and expanded in 1867, but was devastatingly demolished by the Japanese government during the Japanese occupation of Korea from 1910 to 1945. Since then, vigorous efforts have been made by the Korean authorities to restore the palace back to its original state prior to its destruction. The Gyeonghoeru Pavilion is a grand hall within the palace which was utilised as a venue for imperial banquets during the Joseon Dynasty. 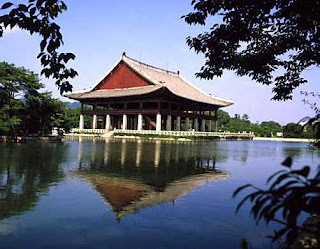 Constructed on an island in the middle of a beautiful manmade lake, the Gyeonghoeru Pavilion serves as one of the most prominent national landmarks of Korea. Alright! That’s all for the 1983 – 2002 banknote series. In the latter part of this article, I will then be covering on the latest series of Korean banknotes which were introduced from 2006 onwards up to the present time.